Want HD quality video to upgrade your existing security? The HDS-5214 bullet camera is a great choice. With this camera, you can simply unplug older analog cameras and DVR, and plug in the new HD over coax cameras and HD DVR. 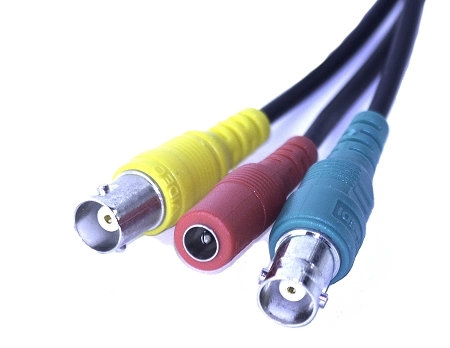 These new style innovative cameras help keep the cost of upgrade down, so that you can enjoy better quality video without the costly labor of running new cables.. This HD-SDI (HD over Coax) style camera provides great quality color video during the daytime, then switches to black and white at night with infrared night vision up to 65' in Pitch Black conditions. This camera is housed in a compact sealed bullet housing with 3-axis adjustment for easy wall or ceiling mount. This HD over Coax camera also has a built-in analog output, allowing it to be used at standard definition to plug into a traditional DVR (at standard resolution) or a public display monitor. The 1080P video quality is 10x the resolution of traditional analog security cameras, letting you even zoom in after the fact to see what happened in better clarity and with sharper colors as well. 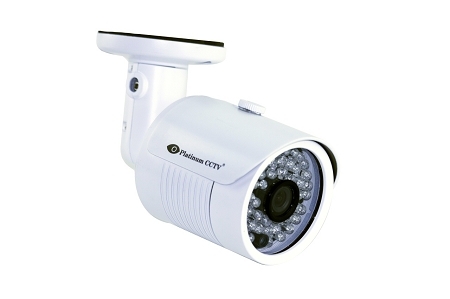 This Professional Grade 1080P HD Outdoor Bullet is great for your business security needs.